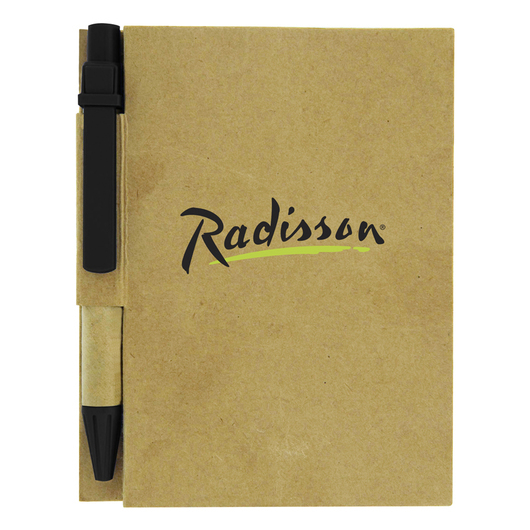 A wonderful eco friendly pen and notebook waiting for your logo to call them home. 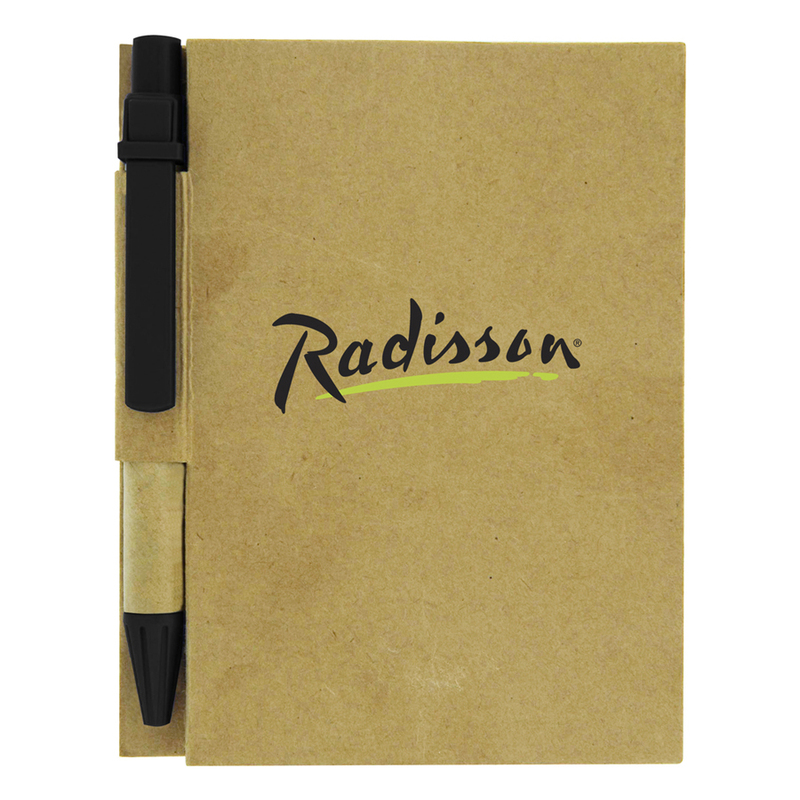 Looking for an environmentally friendly product that fits your target demographic and provides an prominent decoration space? 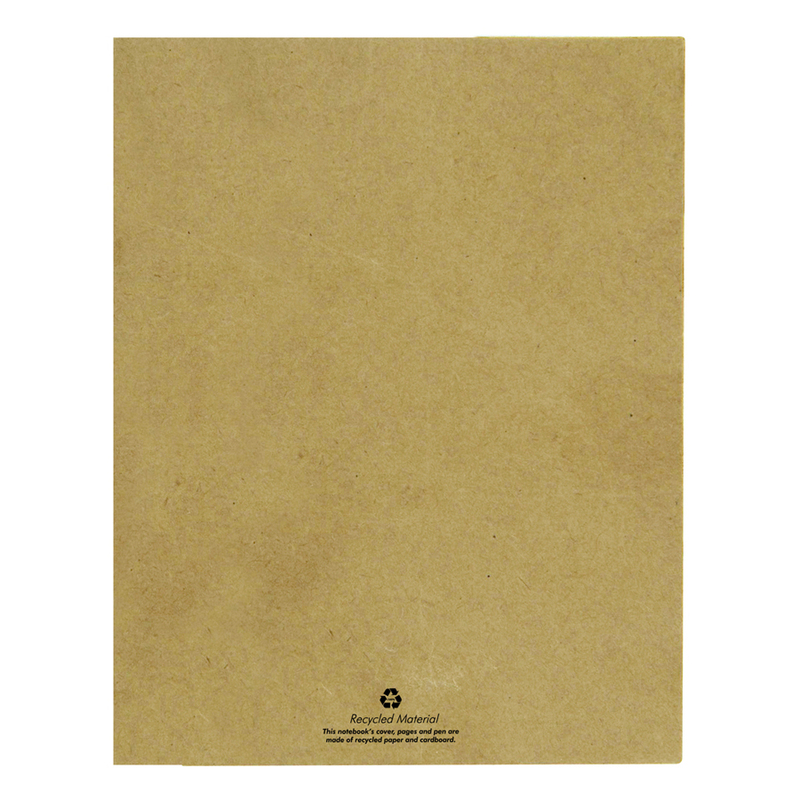 Well look no further, these notebooks are exactly what you've been searching for. 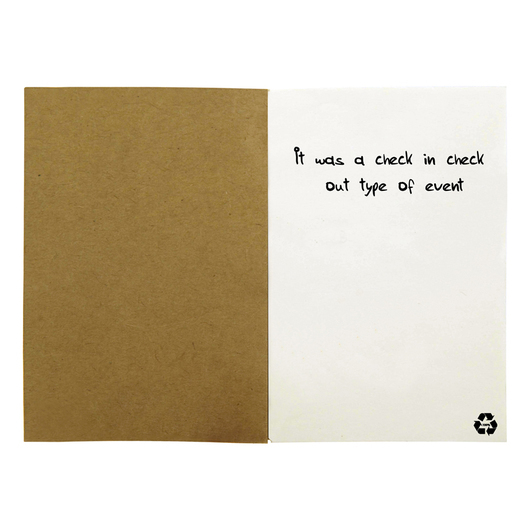 They contain 80 pages of blank recycled paper as well as a thick recycled paper cover. 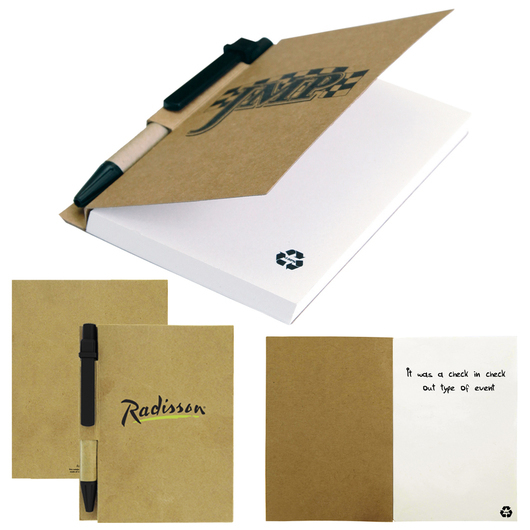 The notebook also comes included with a pen that's made from recycled paper and biodegradable corn resin.